*Full payment is required before ticketing but in no case shall it be later than thirty (30) days before the departure date. 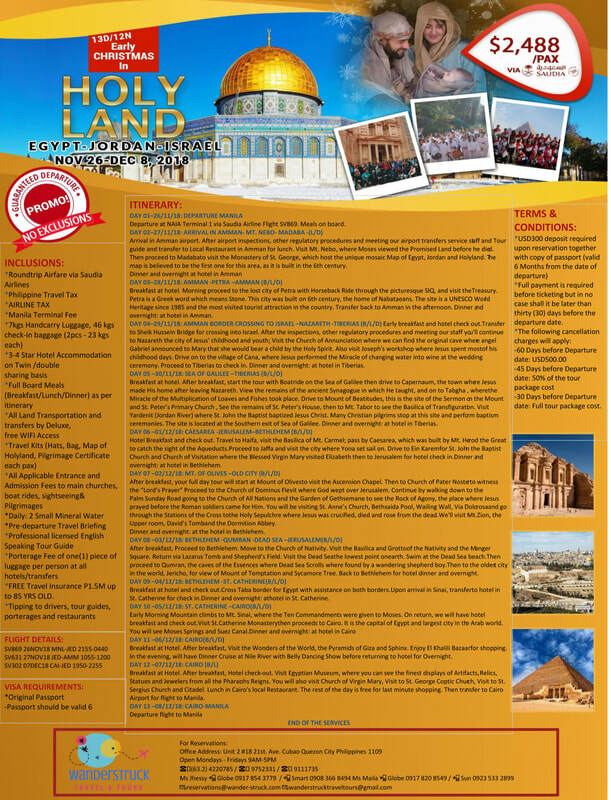 -30 Days before Departure date: Full tour package cost. *FREE Travel Insurance P1.5M up to 85 YRS OLD.